Because of rapid mobile technologies expansion, there is a gap between the complexities of mobile applications and the complexity of employed testing techniques. To bridge this gap ImpactQA provides comprehensive mobile application testing solutions for various devices like iPhone, Android phones, blackberry, iPad etc. The users are shifting to smart phones and mobile devices. This has become a necessity than a requirement in today's world. With multiple operating systems, thousands of devices in the market and widespread users; it's important to have a 360 degree Quality. This means we cannot quit even after the application is launched in the market. Because mobile devices are becoming the dominant platform for content access, QualiTest emphasizes its mobile testing services to ensure that efficient testing is performed on each mobile device, version and platform. Using our Mobile Lab, your automated tests can run on dozens of real Android devices, iPhones and iPads. And you can access our Mobile Lab remotely for troubleshooting. - W3Softech offers testing services on various mobile platforms, particularly iOS & Android. Device and platform diversity, short release cycles, lack of mature testing tools and the variety of network connectivity options result in frequent cost overruns and missed deadlines in today's mobile application testing environment. Technochords offers the widest range of services in the software testing. We provide solution for mobile testing services, web testing services, offshore testing services, and more. - Aboutir Technologies QA team have optimized XIM’s testing methodology for mobile applications. We support web-based and native, standalone and client-server oriented mobile applications. 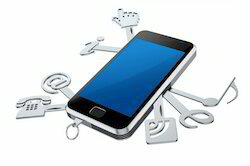 - Mobile Testing (application, operating system, device complexity, game testing). - Performance, Load and Stress Testing. Apps and mobiles have become an important element of today’s IT and society in a very short time frame. Mobile Testing represents a unique testing challenge. This is so because sometimes it is physically impossible to test on all devices. The professionals at Sunfra have the experience and expertise to provide you with the most reliable mobile testing services available.